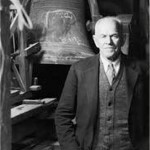 125 years ago: The Y Bell is cast by the McShane Bell Foundry of Baltimore. 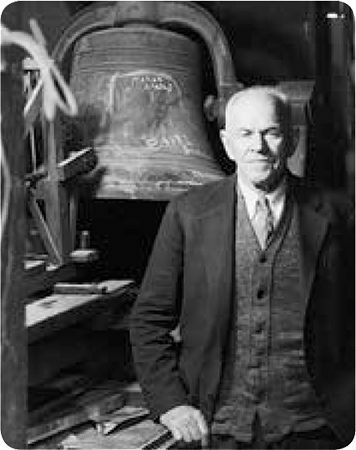 Originally used in the Old Provo Tabernacle, in 1919 the bell was donated to BYU and hung in the Academy Education Building (right, with B. T. Higgs). 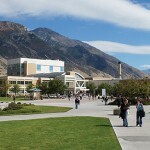 It now tolls outside the Marriott Center to herald athletic victories. 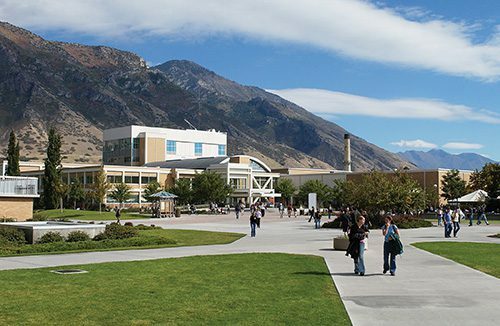 100 years ago: The first summer semester (June 3 to August 23) is offered at BYU. It is billed as a “splendid” opportunity for students to lengthen the school year and to secure credits toward graduation. 75 years ago: Mercy Lewis of Kamas, Utah, donates a rare 1837 edition of the Book of Mormon to the Heber J. Grant Library. The prized volume is kept in the university librarian’s desk. 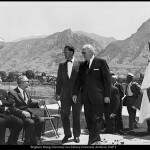 50 years ago: President Hugh B. Brown presides at the groundbreaking for the Franklin S. Harris Fine Arts Center. 25 years ago: The Beach Boys perform at the Marriott Center. 10 years ago: Ironman Utah hosts its opening ceremonies at the BYU track. 5 years ago: Wireless Internet access becomes available in Brigham Square, outside the Wilkinson Student Center. 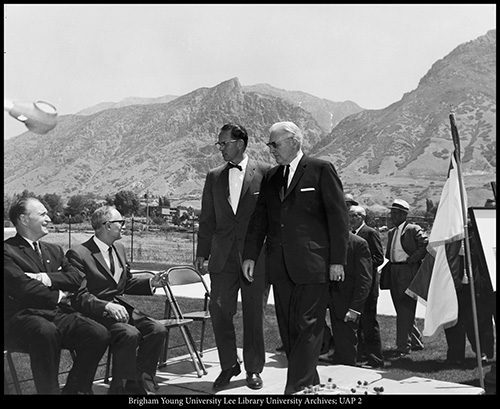 Read more about BYU’s history on the University Archives blog at lib.byu.edu/sites/byuhistory.